I haven’t discussed skin care since my first ever YouTube video back in 2011. 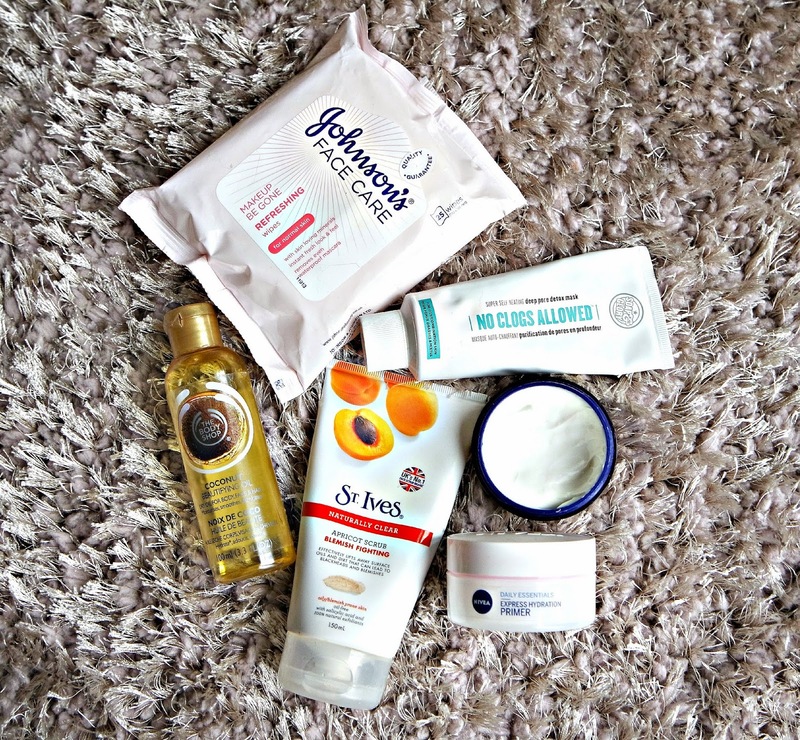 SO i thought update you on my must loved skin products. I have never been one to use luxurious products on my face or even more than a couple of products at a time. Not that I frown upon Liz Earl or Bobbi Brown, but I simply don’t have the funds to buy such delicates (aw). 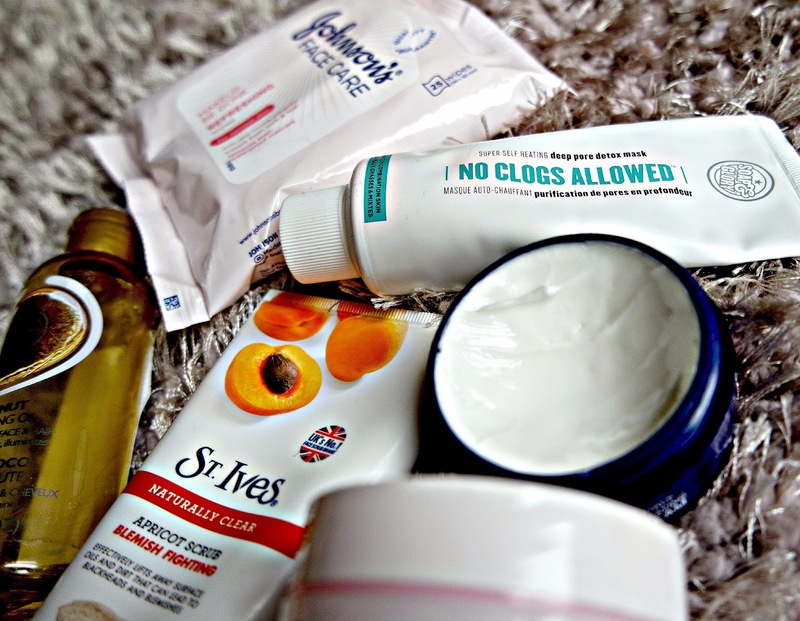 Therefore the high street does just fine and Ive found these gems on my hunt for some cracking skin products. Plus you don’t need a big bank account and hundreds of products for clear skin, I feel simple is better when it comes to skin care. Each title is clickable, so you can go have a cheeky browse if any products tickle your fancy. If you have followed me for a while, you will already know I have used this since my early teens. It’s simple and natural. It doesn’t strip the skin to the point it feels tight and dry, but is abrasive enough to rid flaky skin and keep skin fresh. You only need a tiny amount, this stuff lasts me months meaning its fab to my bank account. Just a complete must have, my skin misses it when I don’t use it for a while. This is new. Firstly if your just starting to look into skin care, you cannot fail with Nivea. They have a huge selection for all skin types. 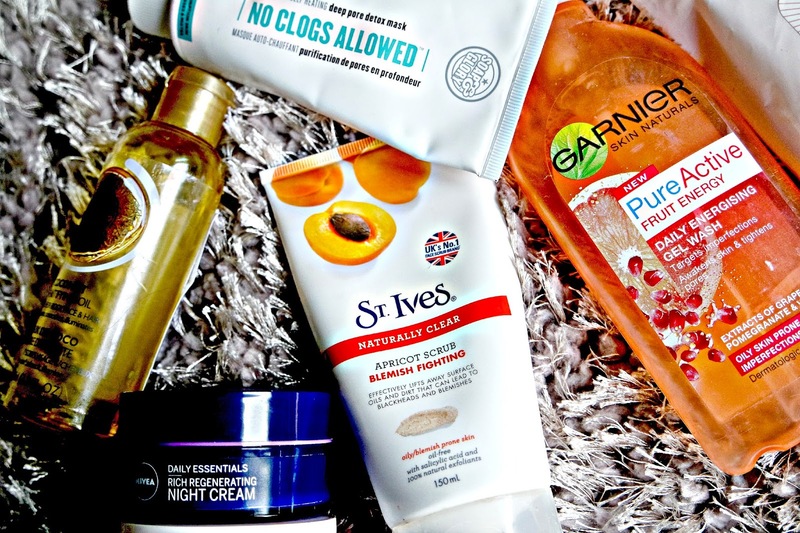 Having dry skin, I feel the products they produce directed at dry skin really hit the nail on the head. The night cream is so moisturising and has a very luxurious feel, almost as though the cream is whipped with moisture. It’s quite a heavy night cream, but doesn’t make you stick to your sheets. In the morning my skin feels fresh and rejuvenated. Haven’t tried anything like it so far. Finally. A hydrating day cream that is light and absorbs quickly. The primer effect makes skin feel smooth and flawless, meaning makeup looks radiant. It such a lovely texture cream, almost like lotion or water. I use this every morning even when I’m not wearing makeup as I’m obsessed with the way it makes my skin feel. Even if you don’t have extremely dry skin, I’d advise you to have a try, hopefully you’ll be as mesmerised as me. Face masks are beautiful things. Whenever my skin gets out of hand or I’ve been lazy with it for a week or two, a face mask can fix everything. This one is great for those who hate sitting around with slop on their face. It takes five minutes, massage off with water and just enjoy the feel of soft, fresh skin. I use this way too often however I feel you should use products as much as you want, its whatever works for your skin, after all no skin type is exactly the same. I feel this mask will become another skin staple of mine for those mucky skin days. I’m not going to lie to you. I couldn’t give a monkey what face wipes I use, as long as they are moist and get the job done, and these do! They have a refreshing scent and are good for a quick cleanse when I’m far too lazy to deal with splashing water on my face. Face wipes that I have used recently which I have actually been trying to hunt down again is the YES TO ranger. The grapefruit wipes. They are something else! I once was obsessed with this cleanser however lately its become a little too drying on the old face. However its the only cleanser I own currently and it is great at removing makeup and dirt on the face. That said, I am definitely looking for another cleanser that is great at removing makeup but not harsh on the skin. If you have suggestions, let me know!